A beautifully laid out garden pond is a fascinating feature in any garden. People have always been strongly attracted to water. Relaxing near water is one of the most pleasant and varied of leisure activities. The banks of any pond or lake and the water itself offer an opportunity to observe wildlife and appreciate nature in many forms. These are probably the very reasons why you have chosen to make a pond. 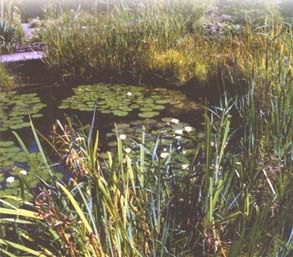 In order that nothing clouds the pleasure this small biotope can give, a few measures have to be taken to care for your pond. Considering the enjoyment a healthy biotope brings, these measures will soon become a pleasurable routine. This short brochure describes how to successfully look after a pond and its inhabitants throughout the year using JBL care products and JBL feed.